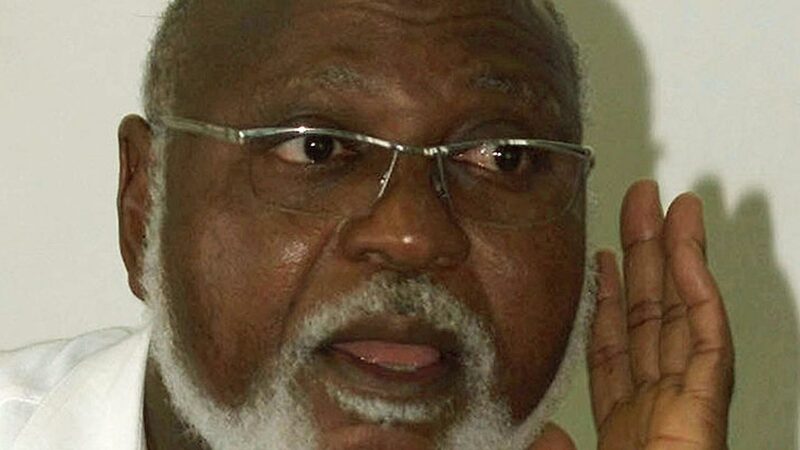 The presidency has called on the Gen. Abubakar Abdulsalami (rtd. )-led National Peace Committee to act on what it described as a violation by the opposition Peoples Democratic Party (PDP) of the peace accord signed by presidential candidates last December. In a statement yesterday, presidential spokesperson, Garba Shehu, accused the PDP Campaign Organisation (PDPCO) of character assassination and inflammatory utterances. According to Shehu, the open and unsubstantiated allegations against the president’s family by the Atiku Abubakar campaign group contravenes the spirit of the peace accord signed at the instance of former head of state, Abdulsalami Abubakar; Catholic bishop of Sokoto, Matthew Kukah; and other eminent public figures in the committee. “Dragging the president’s family (members) into the campaign and accusing them of wrongdoing without producing unassailable evidence amounts to an act of bad faith and malice. “Instead of concentrating their efforts on persuading Nigerians on why they should be trusted to rule again after 16 years of failure, the PDP presidential campaign organisation is seeking to divert public attention from the large-scale corruption and havoc it wreaked on the country during its 16 years of misrule,” he stated. Meanwhile, the PDP has cautioned former Lagos State governor, Senator Bola Tinubu against making derogatory remarks on Atiku.The party, in a statement by its National Publicity Secretary, Kola Ologbondiyan, Tuesday night said it was worrisome that a person of the caliber of Tinubu could resort to derogatory remarks against the person, integrity and proven competence of Atiku. The party asked Tinubu to know that he has the responsibility of tutoring the younger generation on the culture of the Yoruba which holds that when a child is given the errand of a slave, he delivers it like a freeborn. “At Tinubu’s stature, he ought to be found in the class of respected senior citizens who are decorous, speak statesmanly and not resorting to the gutters whenever he speaks in public.“In politics, family ties and bonds as well as relationships are greater and stronger than political interests and it is the expectation of our campaign organization that Tinubu should understand this.” The PDP declared that its candidate is a focused Nigerian who has contributed immensely to the economic and political development of our nation.